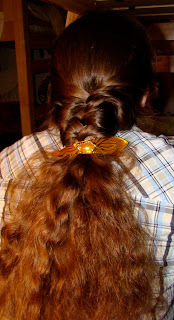 Hope's Cafe: ENJOY Professional Hair Care Products Review and Giveaway!! ENJOY Professional Hair Care Products Review and Giveaway!! I recently had an opportunity to review 2 products from ENJOY Professional Hair Care, and I am very impressed with how each one worked. I received the ENJOY Straightener and ENJOY Shine and Smooth styling treatments. I tried the Straightener first. This has an almost gel-like texture, and while the bottle says to distribute generously, it really didn't take much to for all of my hair, which is long and curly. I used 2 nickel-sized dollops, and it easily worked into my hair. 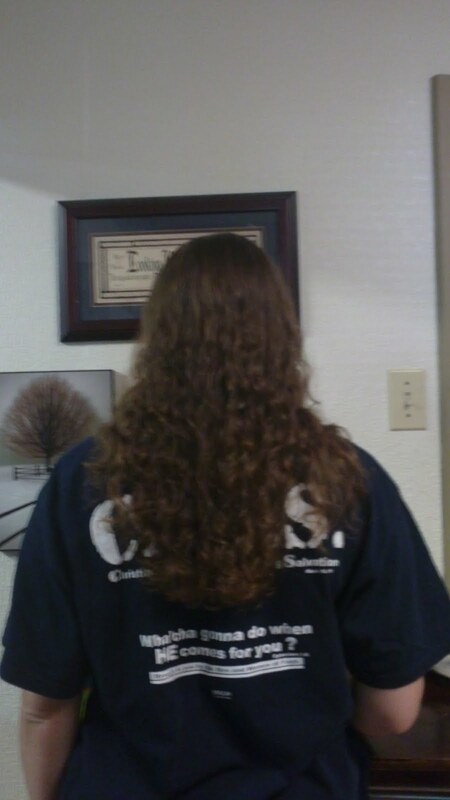 After applying, I used a paddle brush and blow dryer to straighten. 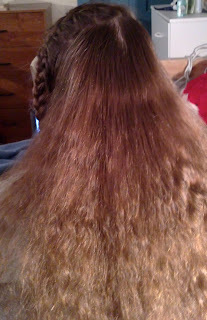 I also tried it using a flat iron on very low heat (lower than I can normally straighten with) to set the style. The pictures below will show how well this worked; it lasted all day! 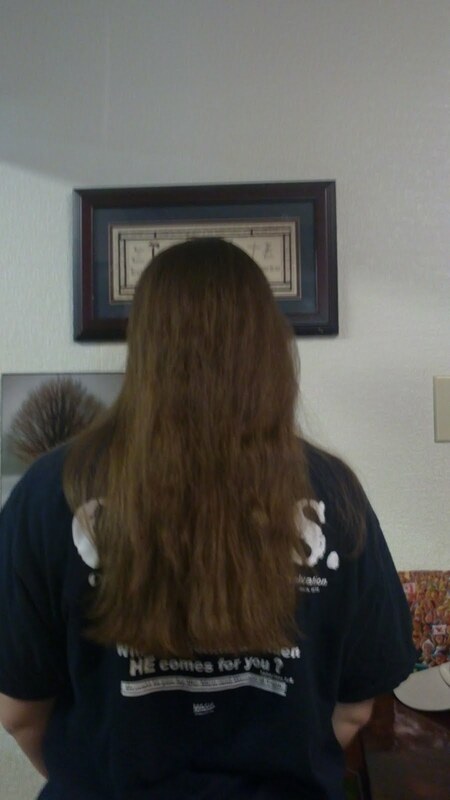 I applied this amount to each side of my head. Halfway done; see the difference?! I also liked that this product controlled frizz. I have used a flat iron before, and usually ended up with frizz and flyaways. The ENJOY Straightener kept that from happening! 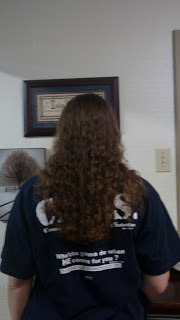 The second product, Shine and Smooth is a great way to eliminate frizz and add shine, without weighing your hair down. I have used this with both natural (curly) hair and after straightening, and it works great on both styles! 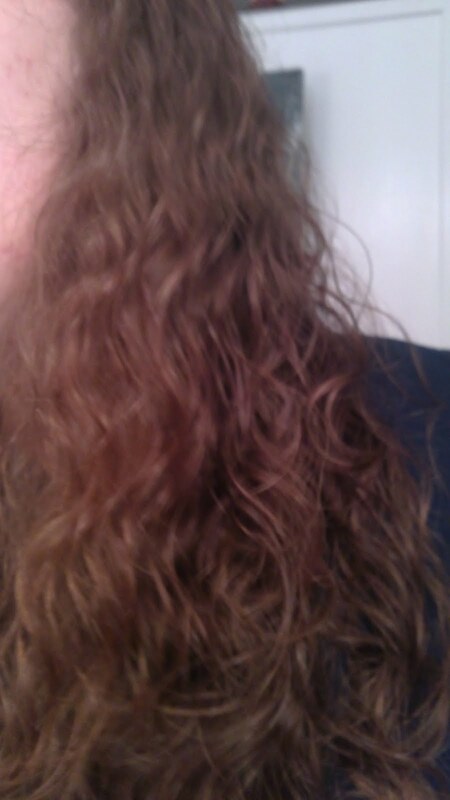 It really does away with frizz, which is something I have to deal with on a daily basis. Even my bangs, that tend to fluff and frizz all over, were controlled with a tiny bit of this serum. The ENJOY Shine and Smooth locks in moisture to your hair, and keeps out the humidity, a common frizz-inducing agent! One of my readers will receive an ENJOY Straightener and Shine and Smooth!! Go to ENJOY Professional Hair Care and tell me another product you'd like to try! 2 entries-"Like" ENJOY Hair Care on Facebook and tell them you entered the giveaway at Hope's Cafe! 1 entry-Follow ENJOY Hair Care on Twitter! This giveaway ends Saturday, Sept. 10, 2011, at 11:59 p.m. Please leave a valid email address in each comment, as this is how the winner will be notified. Winner will have 48 hours to respond, or another winner will be chosen. Giveaway open to US residents only. Disclaimer: I was not monetarily compensated in any way for this post. All thoughts and opinions are mine. All quotes taken from the ENJOY Hair Care website. I would love to try their foaming cleanser. I'd like to try the Foaming Cleanser. I entered the Supreme Protein Bars giveaway. I follow ENJOY Hair Care on Twitter (@shala_darkstone). I would like to try the styling gel. i would like the foaming cleanser..
Oooh, I'd like to try the Keratin Smoothing Treatment. I entered your Supreme Protein Bars giveaway. I would like to try the creamy pomade. I would very much like to try skin joy. 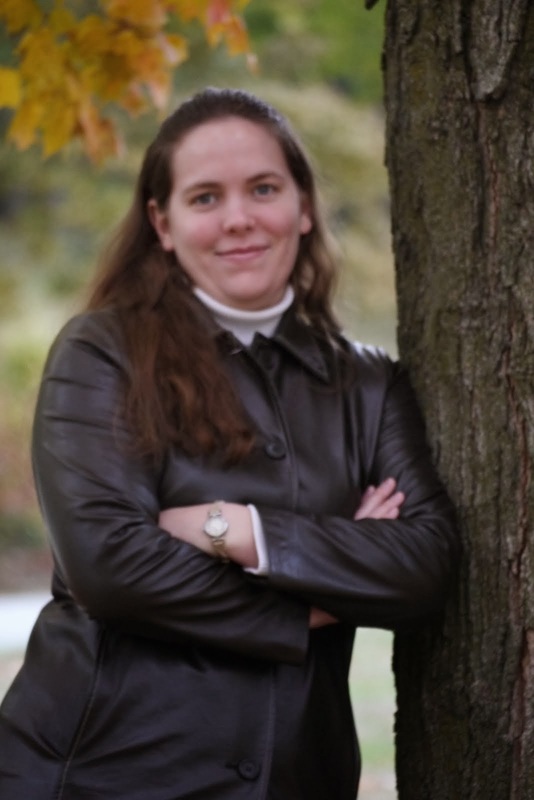 I entered your Bioken Enfanti giveaway. I entered your Obol giveaway. I would like to try the Super Hold Hair Spray. I entered your super-cool HearthSong giveaway. I'd love to try the Rejuvenating Cream [Normal to Dry Skin]. 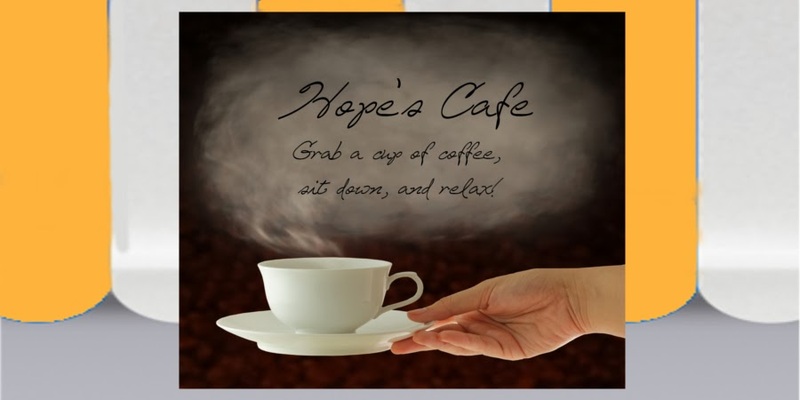 Subscribed to Hope's Cafe via e-mail. I'd love to try the Foaming Cleanser. I would like to try their foaming cleanser. The growth stimulator looks like something I would be interested in. I would love to try their Hair & Body Treatment Oil! I'd love to try the Sulfate-Free Luxury Shampoo! 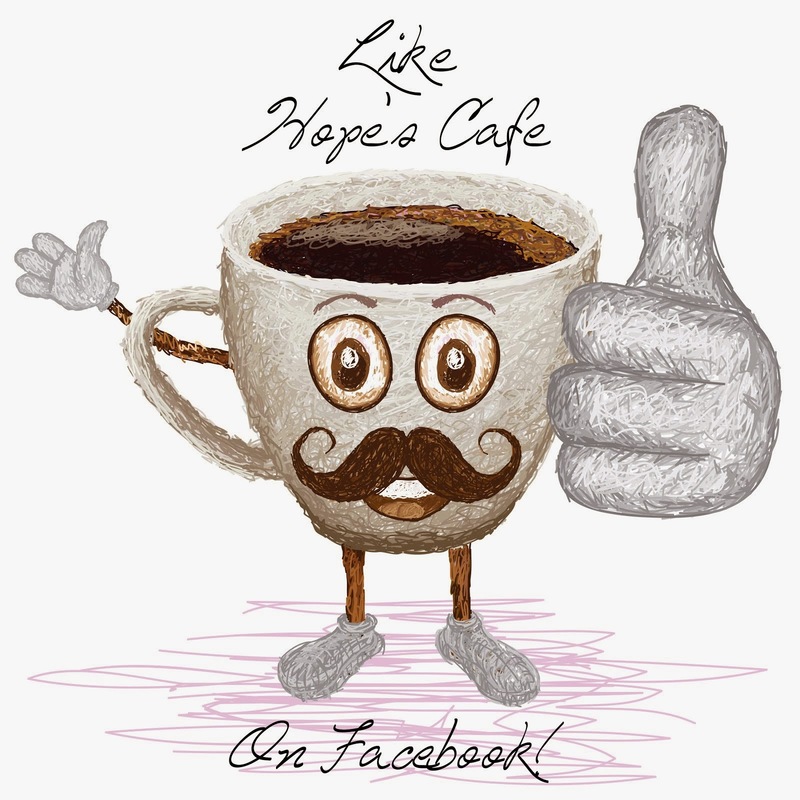 I "Like" ENJOY Hair Care on Facebook and told them I entered the giveaway at Hope's Cafe! I would like to try the hydrating conditioner. I would try their foaming cleanser. I would love to try the Keratin Smoothing Treatment. Thanks for the giveaway!